If you prefer the crisp, cool feel of percale sheets, L.L.Bean's 280-Thread-Count Pima Cotton Percale Sheets can't be beat, while L.L.Bean Ultrasoft Comfort Flannel Sheets offer year-round comfort. 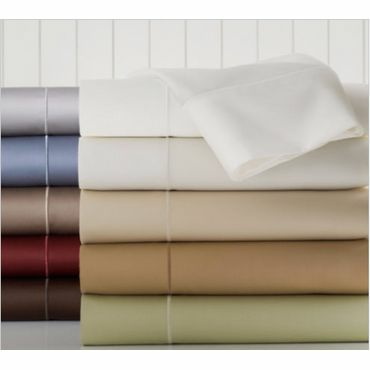 For the soft, luxurious feel of sateen, the Royal Velvet 400 Thread Count Sheet Set is an excellent choice. Ideal for lovers of crisp, "old-school" cotton sheets, L.L.Bean's 280-Thread-Count Pima Cotton Percale Sheets are cool to the touch and durable to the extreme, reviewers say. Experts give the deep pockets and sturdy seams high marks, and say the sheets will last through plenty of washings. Pima cotton percale also gets softer the more it's washed. 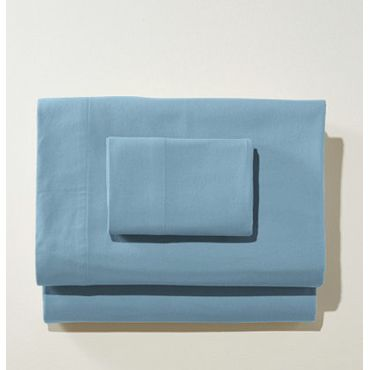 L.L.Bean percale sheets are available in a variety of colors and patterns. Sheets don't get much more affordable than the well-reviewed Mellani Microfiber Sheets. But users say they have a lot more than value going for them: They're very soft right out of the package and, despite their low price, they hold up well over time and are covered by a lifetime guarantee. These embroidered sheets also come in a wide variety of colors, including traditional neutrals and brighter hues. Sateen sheets are known for their soft, silky feel, and Royal Velvet 400-Thread-Count WrinkleGuard Sheet Set fits the bill, experts and owners say. Those who like their sheets to be smooth and unwrinkled say these come out of the wash as if they had been ironed. 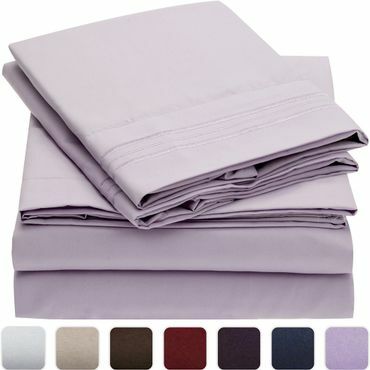 Royal Velvet sheets come in full, queen, king and California king sizes as well as several color options. The extra-deep, 18-inch pockets fit even thicker mattresses. College students who need twin XL sheets, and those who just want softer sheets at a great price give the Threshold Performance 400 Thread Count Sheet Set high marks. Users say they feel cozy straight out of the package, and they perform well in experts' durability tests. A deep pocket fits mattresses up to 20 inches, and a range of color choices means there's a hue that should appeal to almost everyone. If you tend to get cold during the night or just prefer the fuzzy feel of flannel sheets, L.L. 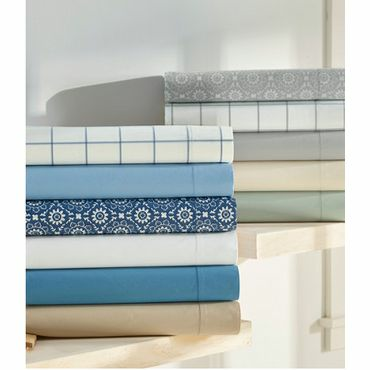 Bean's Ultrasoft Comfort Flannel Sheets are the perfect weight for year-round use. They're softer and fuzzier than more expensive flannel sheets, but they won't make you sweat or feel constricted, experts say. They also hold up well with minimal visible wear-and-tear after years of heavy use. The fitted sheet has a 15-inch pocket. Percale refers to a common type of weave used in cotton or cotton-blend sheets. Woven like a basket with one thread over and one thread under, percale sheets are very breathable and often lighter in weight than other sheets. 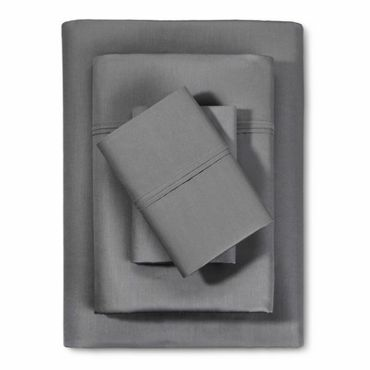 Many users describe them as "crisp," but percale may not feel soft or warm enough for some. Manmade microfiber is composed of finely woven fibers manufactured from wood pulp, or polyester and nylon blends. Microfiber sheets are quite thin, but, in spite of their seemingly fragile construction, are actually quite strong. Fans of microfiber sheets say they are soft and comfortable out of the package. They also tend to be very inexpensive. Downsides include static cling and a tendency to attract lint. Some users also say microfiber sheets aren't as breathable as cotton sheets. Woven with four threads over one thread, sateen sheets are slightly thicker than percale sheets and have a unique luster, or sheen. They're known for a soft, smooth feel, but some users find them too warm or "slippery," and they can be less durable than percale sheets. Today's flannel sheets are usually made of cotton, although some may also use wool or synthetic fibers. The weave has a raised surface, or "nap," that makes the sheets soft and fuzzy. Flannel sheets are ideal for frostier climates or those who get cold easily, but they may not be best for those who sleep hot. The sheets may also shed and pill more easily than others. Comfortable bed sheets are key to a good night's sleep, but sheets that feel heavenly to one person can be uncomfortable for another. Many choices in quality sheets are available for a reasonable price, but shoppers should still do their homework to ensure they buy the best bed sheets for their taste and lifestyle. Both percale and sateen sheets are made from cotton that is derived from different, but closely related, species with varying fiber lengths. The difference in softness, durability and texture comes when those different fiber lengths are woven and/or brushed in different ways. Terms like "Egyptian cotton" are used mainly as a selling point. "Bamboo sheets" is another popular but misleading buzz word. Bamboo fabrics are actually rayon or rayon blends. Many of the claimed environmental and organic benefits of bamboo sheets have been overstated to the point that the Federal Trade Commission has directed retailers to stop labeling and advertising rayon textiles as bamboo and stop misleading customers about the fabric's supposed antimicrobial and eco-friendly qualities. Yes, bamboo sheets are very soft, but don't be misled -- they're just rayon. Finally, a word about thread count. A high thread count has long been seen as the gold standard in the "best" bed sheets. The thread count refers to the number of horizontal and vertical threads in one square inch of fabric, and higher thread counts supposedly means the fabric is softer. But experts say anything over about 300 thread count isn't necessarily softer or stronger, and may only be more expensive. The best way to buy any sheet is to put your fingers on it -- if it feels pleasant to you, that's probably the right one. Once you've identified the best sheets for you, don't stop there: Our reports on the best mattresses, mattress toppers and pillows can help make sure your bed is as comfortable as it can be. Recent expert reviews of bed sheets are limited. ConsumerReports.org no longer tests or rates bed sheets, and tests performed by GoodHousekeeping.org are quite dated. One notable exception is TheSweethome.com, which maintains updated guides to several types of sheets based on in-depth, comparative testing, including percale and sateen sheets, flannel sheets, linen sheets, and sheets under $50. Sleepopolis.com and SleepLiketheDead.com also compare popular and high-end sheet brands. Fortunately, there is no shortage of owner reviews at sites including Amazon.com, LLBean.com, JCPenney.com, Target.com and other individual retailers. When evaluating sources, we focused on comfort, durability and style. The result is our picks for the best bed sheets to ease you into a good night's sleep and keep you comfortable while you snooze. Breathable fabric that works for most seasons.